Some Kingdom Hearts III News from Nomura! So E3 is finally over and polished and everyone had a joly good old time. What about our beloved Final Fantasy series you ask? Well, let's get some quick hits on information! If you were a fan of the older 2D FF games you're in luck! Coming out for iOS and Android this summer is Final Fantasy Dimensions. E3 showed us some screens as well as gameplay! Old school meets new touch screen technology. 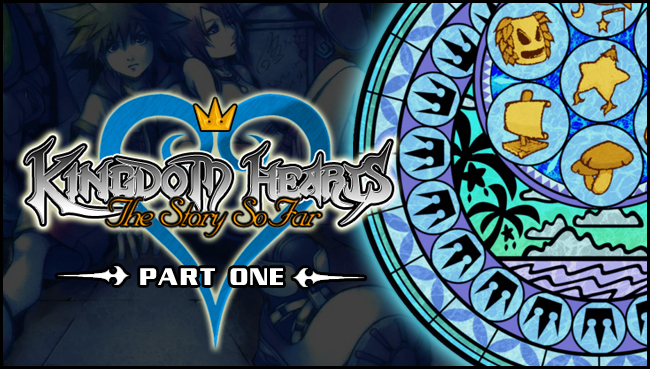 The story is completely new and original with all the themes that have held true throughout the series such as darkness, crystals, and light! You love the Final Fantasy Soundtracks? You've been to Distant Worlds? You just can't get enough? Square Enix has heard your pleas and made an interactive game called Theatrhythm: Final Fantasy. They showed off a trailer with the adorable graphics. It shows off the three different modes of event, field and battle. Events pertain to the story attached to the songs, field takes you to the end of the level and battle is well battles! Get your tapping and swiping skills up to par before this one comes out. Tetsuya Nomura, director of the Square Enix-Disney collaboration that is the Kingdom Hearts series announced that the upcoming instalment Kingdom Hearts 3D [Dream Drop Distance] will reveal many truths about the series. Nomura teased fans in his interview with Famitsu magazine, discussing key characters and alluding to events that wrap up the plotline of this story arc. Additionally, Nomura mentioned that KH3D will have the longest cutscene of the series. With the Xehanort Cycle completed, Square Enix will perhaps finally get around to Kingdom Hearts 3. KH3D is shaping up to be an impressive instalment, with the introduction of two new features: Ability Link and Dream Eater. Look at that cute face! How can you not squee about that? 3D Sora! COME ON! It's to be released in only 11 days in Japan and we haven't been squeeing! I am ashamed! Famitsu just released a bunch of screens and info about Kingdom Hearts: [Dream Drop Distance]. Even loved to mention a new mini game in it. It seems reminiscent of CoM, in my opinion. It's called Flick Rush! You pick three Dream Eaters and then go head to head with your opponent over a local wireless connection. You then use cards to make your moves. It makes an arena type battle by the looks of it. When you win, you get medals which will allow you to get recipes and new commands. There will be about 50 dream eaters you can "catch" to work with you. That's not including the bosses. Dream eaters of course, are the new enemy.They are either Spirits or Nightmares. Treat your Dream Eaters right and they will grow, treat them badly and they well... wont. Your fighting style changes based on what Dream Eaters you use. You can name them! (Sqaure enix is just filling my fangirl need to customize cute things.